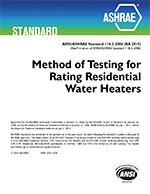 Standard 25 prescribes methods of testing the cooling capacities and airflow rates of forced convection and natural convection air coolers for refrigeration. It does not include air coolers of the recirculated primary liquid refrigerant type or air-conditioning units for which testing methods are given in other standards. 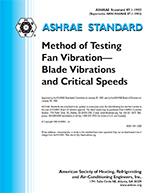 This is the second reaffirmation of ANSI/ASHRAE Standard 25-2001.